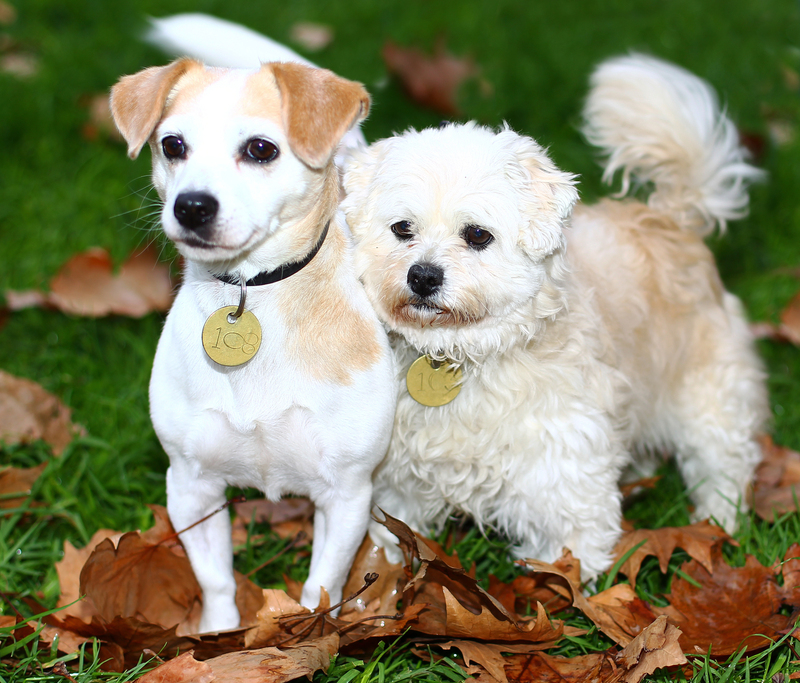 Last month we introduced you to Wee Jock and Jenny, a bonded pair looking for their new home after their owner sadly passed away. Needing to find that special someone willing to adopt not one, but two, special dogs, these golden oldies caught the eye of Matthew and Paul , who knew straight away that these were the canine companions they were looking for. 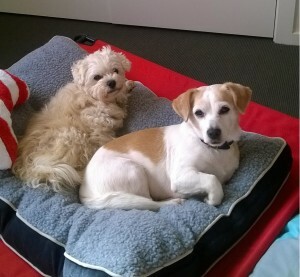 On a sunny Saturday afternoon in June Matthew and Paul came into the Home’s North Melbourne Shelter to meet Wee Jock and Jenny in the fur. “Paul and I saw the story of Wee Jock and Jenny on the Home’s Facebook page on the Saturday morning and thought they were a very cute pair,” said Matthew. However, when they arrived they found out they weren’t the only ones interested in the beautiful bonded pair. “Because they are so cute together, we had a feeling Wee Jock and Jenny may have been adopted earlier in the day. “When we went in we were told that two other people had also registered their interest in the pair. However, we were allowed get to know them better and took them for a little walk. “Fortunately, the stars aligned for us on that sunny Saturday afternoon and we were able to take Wee Jock and Jenny home with us,” said Paul. Staff were on the lookout for a special kind of person to adopt this beautiful and unique bonded pair together. Paul and Matthew were great candidates as the very close bond between Wee Jock and Jenny was the very thing which drew them to wanting to adopt the pair. “It is obvious from the moment you meet Wee Jock and Jenny that these two are very close to one another and they really do look out for and take care of each other. “Jenny is particularly affectionate to Jock and always looks out for the little guy. It is clear that one really can’t be without the other,” said Matthew. In their new home for almost a month, these best friends have quickly settled in and are making the most of Matthew and Paul’s attention. “Matt is working from home at the moment, so they provide him with great company, but often they will distract him and look for cuddles – they just love cuddles! “We love taking them for walks. Jenny is such a great walker; she knows her way around the neighbourhood already. Jock on the other hand, loves to stop, sniff, check things out and mark his territory, a very different walking experience,” said Paul.